Wallis Miller and Dean Michael Speaks hosted a symposium called “Design Research: Four Examples from Scandinavia.” Mari Lending (AHO), Katja Grillner (KTH, Stockholm), Jonas Runberger (White Architects, Stockholm) and Ville Kokkonen (Artek, Helsinki) discussed the implications of pursuing design as research at a university, in practice and in manufacturing with the faculty of the College of Design. 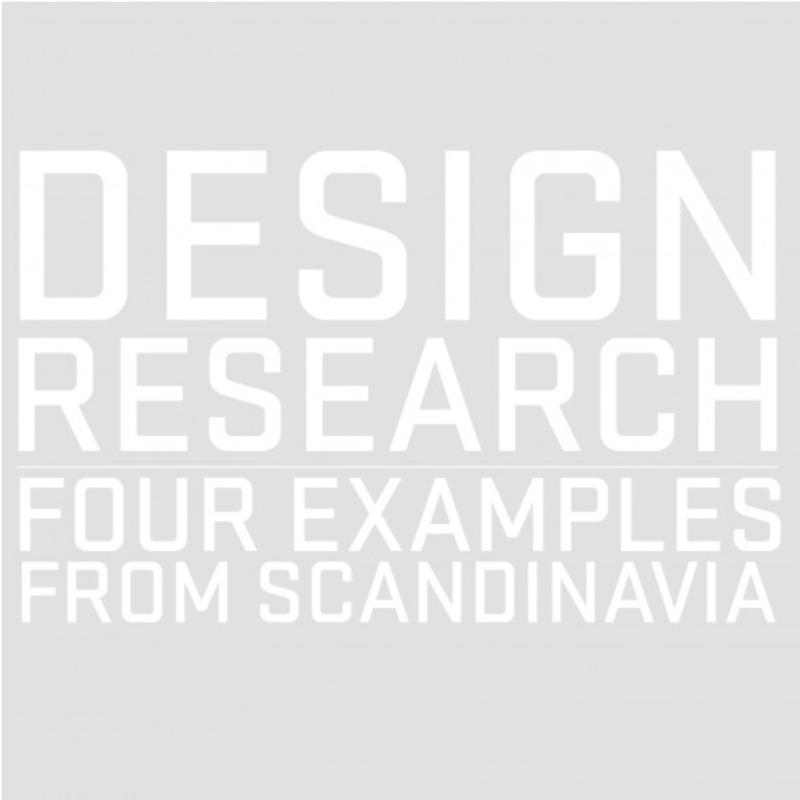 Designers design; they don’t do research. At least this was the case until about a decade ago, when it became noticeable that the conception of design as research influenced projects other than those in technology and history. Rather than engage in research, designers long preferred to focus on their creative process. While they certainly embraced the systematic process of research with its constraints, hypotheses, experiments, and evaluations, they viewed research as secondary to imaginative thinking, the unsystematic process at the heart of creativity. But recently, there has been a change. Designers are finding that a conception of their work as research may enrich the creative process not limit it. Research has changed the design team, transformed constraints into advantages, and expanded the definition of a design project to include more than interiors, buildings and contexts. This is especially true in Scandinavia, where research thinking has permeated both academic institutions and practice. This event, which was open only to CoD faculty and invited guests, explored the transition from designs based on the creative process to those catalyzed by research methods. Originally posted Oct 2, 2012. Latest revision Aug 31, 2017. © OCCAS 2012. All rights reserved.